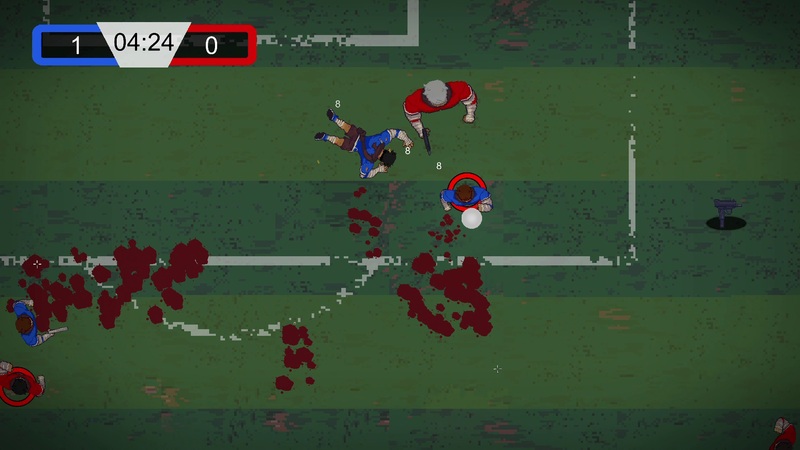 Deathmatch Soccer is a multiplayer twin-stick-shooter soccer mashup. It takes place in a world where crowds have grown weary of traditional soccer, a game that has become too soft. 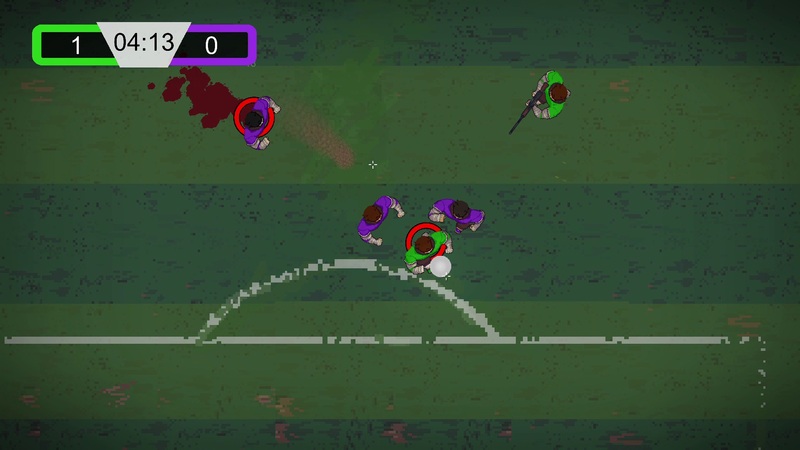 During a match, the crowd will throw weapons onto the pitch to keep things lively. The winner is the team who has scored the most goals... If they can survive until the final whistle. Stephen Harrison-Daly spent 7 years working in R&D at Sony Computer Entertainment in London, helping developers bring their games to PlayStation. At the end of 2016 he decided to make the reckless step of leaving Sony and trying a new life as an independent game developer. He had been working on his own engine as a hobby on weekends, which was then extended when he went full time independent. 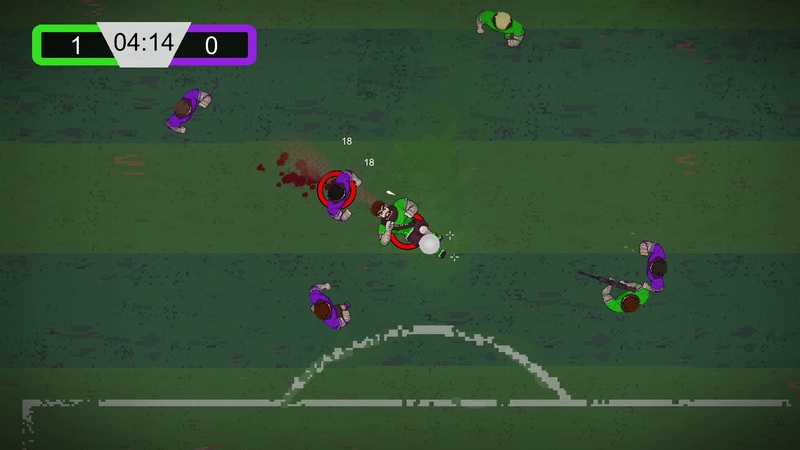 Deathmatch Soccer was heavily inspired by two of Stephen's favourite games in recent times - Hotline Miami and Rocket League. A traditional competitive game, with added craziness and gore. What could go wrong? 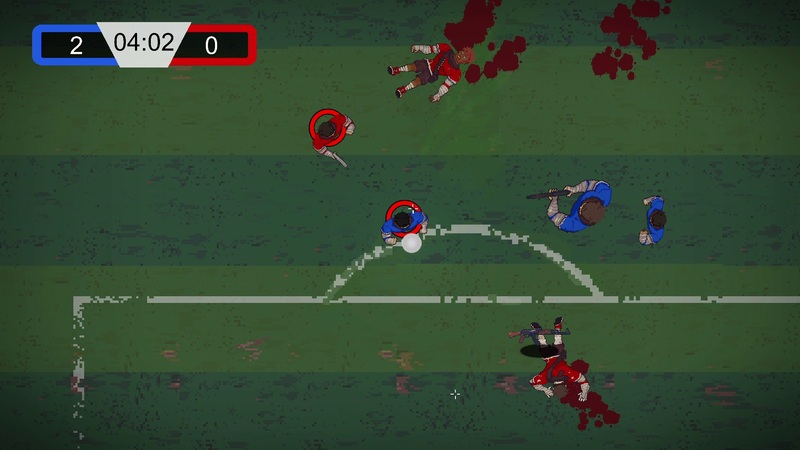 Deathmatch soccer has been in development for 12 months for Windows PC. Initially to be released on Steam Early Access, with more platforms to be added in future. Kicking, sliding, and other soccer things! Personal twitter for Stephen Harrison-Daly (@steveOHD) available at twitter.com. Twin Squid is an independant games studio founded by Stephen Harrison-Daly in 2016. More information on Twin Squid, our logo & relevant media are available here.